As you'll probably know I am a huge fan of composite images, images built using lots of different photographs all merged together to make one. Hashtag life is one of these images. All of my composite images are made up from images photographed by myself, I do not ever use any stock images at all. This piece was one of my hardest ones and took me around 2 weeks to build, the most challenging part was dealing with the water and glass! I love to be challenged with my work and this one certainly achieved that. I thought I'd show the work that went in to this and a little bit of how it was achieved. This took 83 layers in Adobe Photoshop, which consisted of adjustment layers and many many images. Next step was the bowl. This was probably the hardest part of this image....cutting out glass in Adobe photoshop and making it look believable! 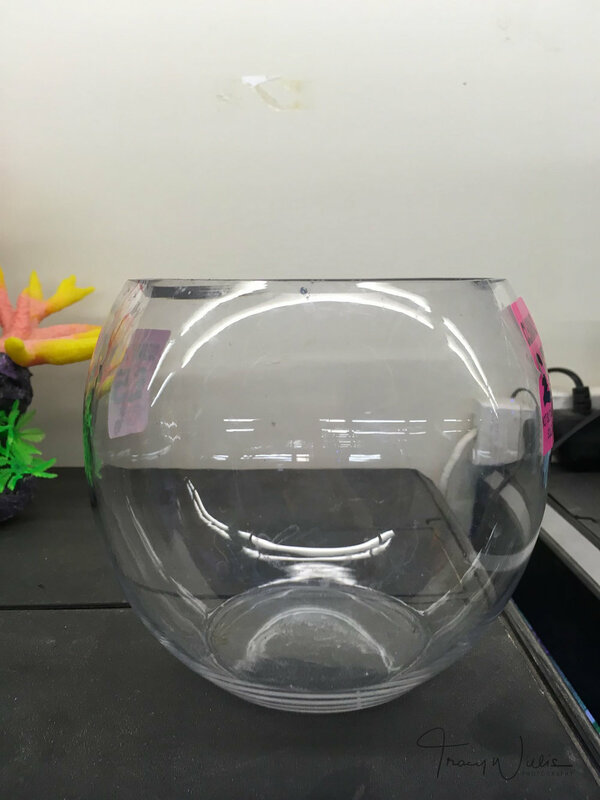 I had photographed the bowl in the pet shop (same place as the fish) using a mobile phone! Just some final tone and brightness adjustments and a bit of dodging and burning and we have the finished image. I wish I'd noted the hours spent on this image but sadly I didn't. Suffice to say it was quite a lot!